We are a leading independent provider of research and consulting services to the maritime and shipping industry, employing over 100 professionals across an international network of offices in London, Delhi, Singapore and Shanghai. We provide our services through four business units: Maritime Research, Maritime Advisors, Supply Chain Advisors and Maritime Financial Research. These divisions, combined, support the operational and strategic needs of an elite and diverse client base of maritime and shipping industry stakeholders. Our Maritime Research provides the robust analysis and balanced opinion those within shipping, finance and logistics need to make informed business decisions. The comprehensive offering keeps our clients up to date on every key maritime sector, from dry bulk to chemicals and from LPG to containers, with detailed analysis and insightful commentary on past, present and future sector performance. Our Supply Chain Advisors focus on advising users of international multi-modal transport services, taking our extensive understanding of the industry and applying it to all stages of the supply chain. We offer a range of procurement support services that empower importers and exporters, providing them with the tools, resources and tailored advice they need to more effectively manage their transport service providers and international supply chains. Our Maritime Advisors offer a wealth of experience across the maritime sectors and lead the industry in their respective areas of specialisation. Sector expertise covers; ports, bulk shipping, liner shipping, shipyards, RoRo and technical ship management. Our combination of deep sector understanding, technical expertise and market leading insight enables us to be confident in our actions and ability to deliver the right results for our clients. Combining our market-leading resources with seasoned sector expertise we offer a highly differentiated and comprehensive range of investment and financial research services to institutional investors in maritime and shipping companies. We provide a full service offering comprising equity, credit and bespoke investment advice to an elite and diverse institutional client base. Our combination of sector knowledge, rich market insight and commercial awareness sets us apart and enables us to consistently deliver the performance, profitability and competitive advantage our clients seek. From our origins in 1970 London to a 21st century maritime and shipping consultancy, Drewry has established itself as one of the most widely used and respected sources of impartial market insight and analysis. We combine timely and relevant market analysis with industry-leading technical expertise to provide our clients with real commercial value and competitive advantage. Our understanding comes not only from being close to the sectors we serve but also from working with our clients and giving them a balanced, highly practical and commercial perspective. Our voice is our own and is not defined or influenced by others. This impartiality and objectivity has cemented our reputation as an indispensable industry reference. Our depth of industry knowledge and market understanding provides the foundation for everything we do. It is in our DNA. For more than 45 years, we've been charting and analysing the world's maritime markets. 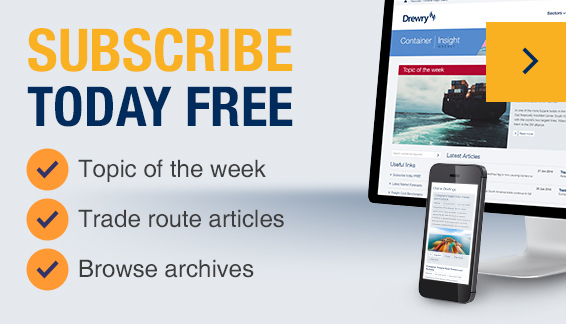 Here are some of the key milestones that defined the journey towards Drewry becoming the primary source of insight and advice to the global maritime and shipping industry.